Tatiana Remy, a 16-year-old Grade 10 learner at Redhill High School in Sandton had never used public transport in her entire life. Growing up in a well-off family in an affluent and a leafy northern Johannesburg suburb of Sandown, Remy had not given the idea of one day hopping onto a Metrobus or minibus taxi to and from school much thought, if at all. But on Monday October 4 a whole new world opened for her. This was the day when the City of Johannesburg closed off a number of streets in Sandton to make way for the month-long EcoMobility World Festival, during which residents were expected to leave their cars at home and either walk or cycle to their destination or use public transport to ease traffic congestion and reduce greenhouse gas emissions. “I took the Gaubus to school for the first time and had the most exciting experience of my life. It was a lot of fun and I enjoyed every minute of it. It was refreshing and all the fears and wrong perceptions I had had about public transport were gone. “It was easy and fun. The EcoMobility World Festival has opened my eyes and gave me a taste of what I’ve been missing all my life. I would like to see more people, especially the youth, using public transport because EcoMobility is the way of the future,” she enthuses. Remy is one of four schoolgirls from privileged backgrounds in the Johannesburg northern suburbs who want to spread the word, particularly among their peers, about the benefits of EcoMobility. The others are Reneiloe Motsisi of Sandhurst, also a Grade 10 learner at Redhill High School; Sara Steedley of Parkview; and Chiara Mzizi of Craighall, both Grade 10 pupils at Roedean School for Girls in Parktown. 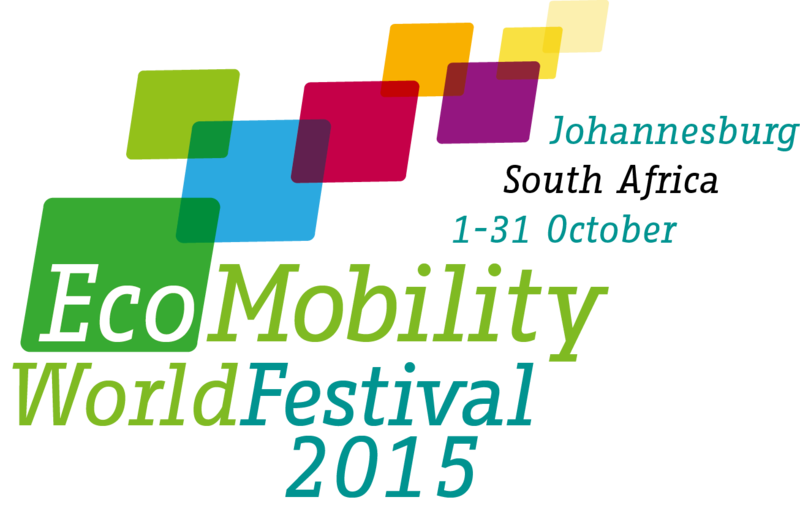 Motsisi says she also used public transport for the first time at the start of the EcoMobility World Festival. “It was a completely new experience for me as I’m used to being chauffeur-driven to school and when doing shopping,” she says. After being presented with the opportunity to experience public transport, the four 16-year-olds now want to become Johannesburg’s EcoMobility ambassadors to help change perceptions, attitudes and mindsets about this mode of mobility. They plan to use various avenues, including social media, to raise EcoMobility awareness in the city. They have, however, appealed to Johannesburg Executive Mayor Cllr Parks Tau to make public transport more accessible and provide the necessary infrastructure to promote EcoMobility. Remy points out that there are not many sidewalks for pedestrians in Sandton, for example. Mzizi emphasises the importance of creating awareness among the youth. “My schoolmates and I intend engaging our peers in individual and group discussions. In that way we hope to spread the word among the youth in all corners of the City. It’s very important that the youth, as South Africa’s future leaders, play a leading role in the use of public transport,” she says. Steedley calls on the City to provide more information on EcoMobility. “I’d like to see more youths using public transport but due to the lack of information they are not using it,” she adds.